CRANIMALS is proud to introduce the one-step, easy to use UTI home test kit for Cats and Dogs. Useful for early detection of pathologies that may show no clear symptoms. 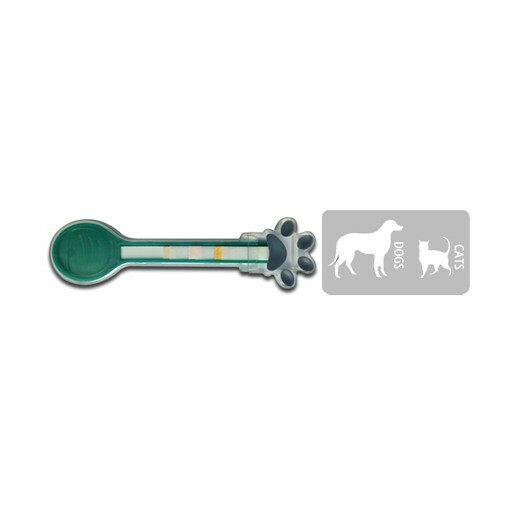 Monitor and track your pets health in an accurate and economical way , avoiding costly, unnecessary trips to the vet.The Cranimals Urinary Tract Infection (UTI) Test is a reagent strip device intended for the early screening of UTIs, detecting blood, leukocytes (AKA white blood cells) and nitrite in animal urine. Any of these parameters, if present in urine, is an indicator of Urinary Tract Infection. UTIs are usually caused by intestinal or environmental bacteria that enter and ascend the urethra, ultimately proliferating in the pet’s urinary bladder. Some observable symptoms are: - Frequent Urination - Straining or crying out in pain when trying to pass urine - Inappropriate urination in places that are not customary - Strong urine odor - Vomitting However, some affected pets may show no clinical signs, especially cats. If the infection is not detected early, it can spread to the kidneys and lead to more serious health conditions requiring surgery.The test kit is ideal to use in conjunction with Cranimals Original supplement to test for infection before and after treatment. Test Materials Provided: Test device in a foil pouch, Color Chart, Instructions for use: - One step method - Non invasive and pain free - Results in 2 minutes - Easy to read test device - 2 individual tests included Cat UTI test kit also includes non absorbent, reusable cat litter for ease of urine collection.